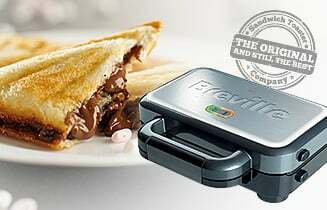 This offer is exclusive to Breville.co.uk. The Blend Active is an individual sized blender and stylish sports bottle, giving you one-person-portion fruit smoothies, breakfast drinks, protein and sports nutrition drinks, and iced with just one touch of a button. Pop your favourite smoothie ingredients in one of the four Blend Active bottles, attach the blade cap and put onto the blender base unit. 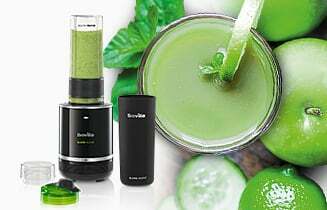 The Blend Active will blend a smoothie or shake in seconds . The Pink Blend Active personal blender comes with x2 600ml bottles with pink lids that you can take with you to work, to the gym, or wherever you go. Ideal for the gym, work, school and days out - just blend & go! 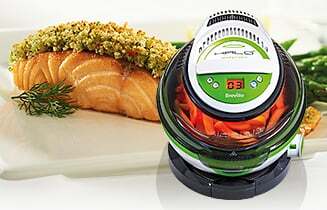 Breville Blend Active Super Value Bundle with 4 Bottles - Online Exclusive is rated 4.7 out of 5 by 7. Rated 5 out of 5 by LSwannn from Love my blender! I honestly could not think of anothing I would have been better off spending my money on. Great deal with the bottles and so simple to use! Rated 3 out of 5 by Irena from Breville Blend Active Super Value Bundle with 4 Bo I bought this product as I needed something easy to use by kids. Good size of bottles but I am not impressed with quality of lids. After a month of using them, the lid leaks - I have two faulty lids and using now another two, I wonder how long they will last. Rated 5 out of 5 by Dawnie6 from Love the new colours I have had a breville blender for over 4 years and it is brilliant. Never had any problems and I make wonderful smoothies. 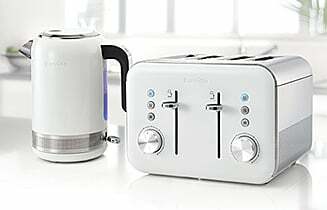 You wont go wrong with this and the price is brill. Rated 5 out of 5 by josie from Easy to use and clean Really easy to use and fantastic to be able to wash in the dishwasher. My 11 year old daughter loving making up her own healthy smoothies for us all! Rated 5 out of 5 by The Jules from Love it! Great product and great price. Easy to use and minimal washing up. Great way to get fruit into teenagers that just want pizza!